The launch followed the development and submittal of a Grant request to Lions Club International Foundation who approved the request as part of its ‘Lions Sight First’ program in mid-2017 and MD 33 was on its way. Many clubs and Lions have embraced the program seeing it as significant way to improve the quality of life in their communities. 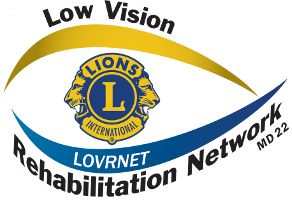 Most volunteers at this point have chosen the Community Outreach option seeing it as an opportunity to inform their local communities about the Lions LOVRNET services, to support local eye health services and promote low vision patient referrals to the network. Aware of the demographic that low vision typically affects, local Senior Centers became an early target to start spreading the word. District A Lions clubs in Paxton, West Boylston, Rutland, Sterling and Grafton began collaborating with local Senior Center Directors to schedule LOVRNET presentations for their members. As a result, presentations in all five towns have taken place drawing highly-engaged audiences ranging from 15 to 25. Several referrals have resulted from these sessions. One specific case shows how much good this program can do for our afflicted residents. It involves an elderly resident of District A who attended our LOVRNET presentation at her Center. She suffers from macular degeneration and has a great deal of trouble reading books, newspapers, pill bottles and labels in the grocery store. She was referred to Dr. Malkin and was scheduled for a Low Vision Assessment at the Carroll Center for the Blind, a member of the NECO Clinical Network. 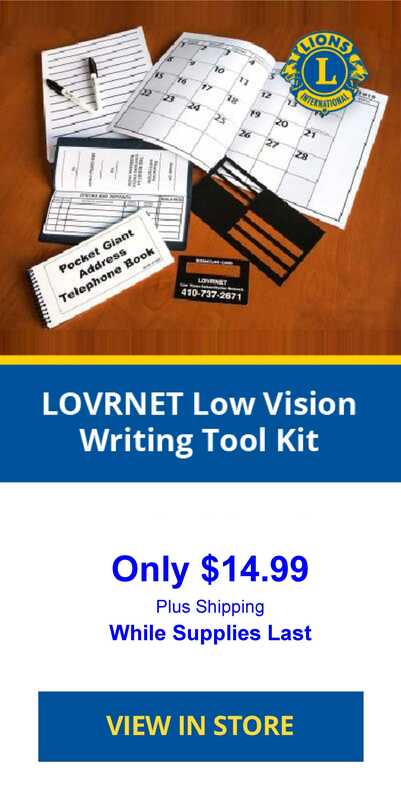 The assessment confirmed her condition and identified two low vision products that could immediately improve her quality of life. These products were a desktop Merlin video-magnifier for reading books, newspapers, magazines, etc., and an Optelec PowerMag LED Hand Magnifier for remote use in reading pill bottles, grocery store labels, price tags, etc. Both products were donated by Lions. She is also being scheduled with an Occupational Therapist (from Massachusetts Association for the Blind and Visually Impaired) who will visit her home and recommend skills and assistive aids to help her with basic day to day functions. As a side-note to this story, the same elderly resident referenced above also has significant hearing problems. Her case for this need was developed and presented to the MA Lions District 33A Sight & Hearing Conservation Fund Board and she was approved to receive two new hearing aids at no cost to her.